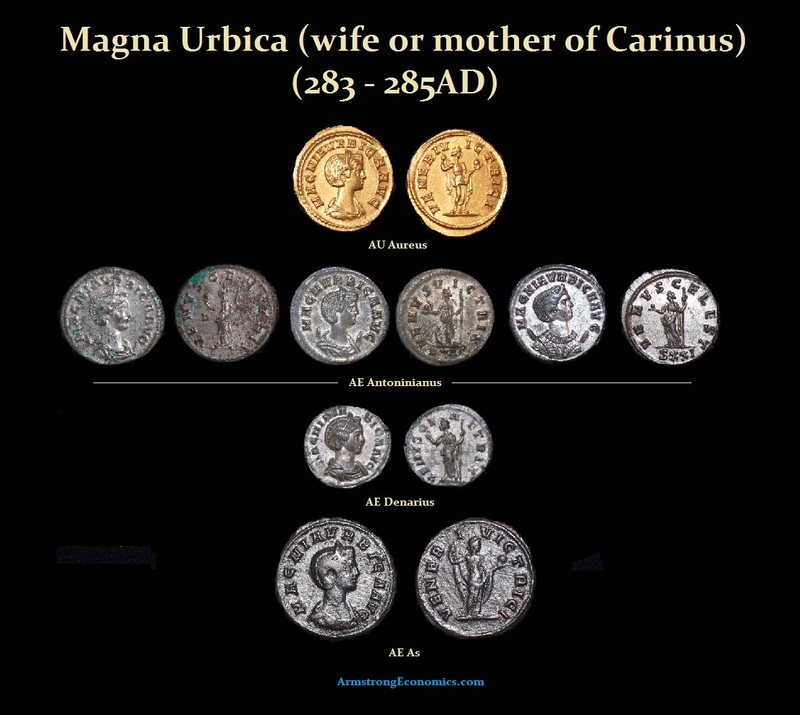 Magnia Urbica was most likely the wife of Carinus and the mother of Nigrinian. Some have argued she was the wife of Carus. 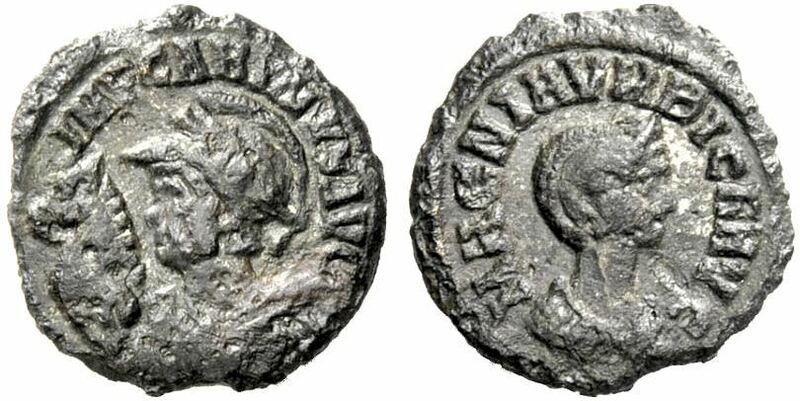 The coinage which exists with her image on one side and the other appears to be Carinus. Given that Carus was 60 when he became emperor. Magna’s coinage does not appear until 283 when Carinus becomes emperor. Moreover, Carus never made it to Rome and died in Asia. Propositions that she was the wife of Carus rather than Carinus have no confirming proof other than conjecture. According to Historiae Augusta, her husband had no less than nine wives and was a bisexual corrupter of youth. This is most likely propaganda put forth by Diocletian. However, where there is smoke there is fire. Her husband was slain in battle at the moment he was to be victorious over Diocletian. The officers are said to have murdered the emperor for his seduction of their wives. Magnia Urbica was the only woman for which coinage was struck and very well may have been the only wife. This is where the conjecture arises asserting she was his mother and not a wife. Whether or not Carinus carried on with other’s wives may have simply been political propaganda to support Diocletian. Magnia Urbica died or was murdered about the same time as her husband. The memories of Carus, Carinus,Numerian and herself were officially condemned by the state and their inscriptions erased from Rome.